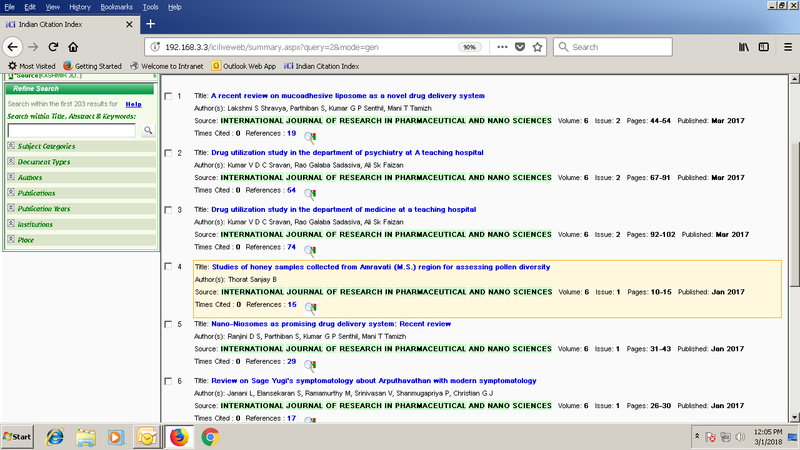 This present bioequivalence study was designed to determine the bioavailabilityand bioequivalence of Pantoprazole 40mg+ Cinitapride 3mg Extended Release Capsules in comparison with CINTODAC(Pantoprazole 40mg+ Cinitapride 3mg Extended Release) Capsulesafter single dose administration under fasting conditions in healthy adult male subjects. Therefore the design of an open label, balanced, randomized, single dose,two-treatment, two-sequence, two-period, crossover study with a wash-out period of at least 7 days was used. The primary pharmacokinetic parameters (Cmax, AUC0-t and AUC0-inf) 90%CI were within the 80 to 125% interval required for bioequivalence as stipulated in the current regulations of the USFDA acceptance criteria. The 90% confidence interval for Pantoprazole log transformed parameters Cmax and AUC0-t were 97.655% to 98.567% and 96.365% to 99.525% respectively and for Cinitapride were 99.976%-101.918% and 104.957%-111.670%.Fifteen volunteers had completed all treatment periods. There was no significant difference between the two formulations. No serious adverse events related to the study drug were found. Nallamotu Shivakrishna*, Narayabhatla S V Jahnavi, Pavani Marella, G. Prasanna Rama Krishna, Vaddadi. D. C. Shravan Kumar, P. Venkateswara Rao. An accurate, Precise and Simple High Performance Liquid Chromatographic method for the estimation of Imatinib in its capsule dosage form has been developed. The method so developed is Reverse Phase High Performance Liquid Chromatographic method using Inertsil C18 ODS column (150mm×4.6mm, 5µ). The method so developed was validated in compliance with the regulatory guidelines by using well developed Analytical method validation tool which comprises with the analytical method validation parameters like Linearity, Accuracy, Method precision, Specificity, System suitability, Robustness and Ruggedness. The results obtained were well within the acceptance criteria. Ravikanth Reddy. Padala*, P. Rajavel, P. Venkateswararao. The objective of the present investigation was to design and develop sustained release of Metformin tablets. Metformin sustained release tablets were developed different polymers like HPMC K4 M, Guar gum and Eudragit with different ratios. Totally three formulations were prepare. Sustained release tablets of Metformin were prepared by direct compression technique. The prepared tablets evaluated in terms of their Pre-compression studies like Tapped Density, Bulk Density, Angle of repose, Carr’s Index and Hausner’s ratio, Post-compression studies like hardness, thickness, friability and in vitro studies. The results of in vitro drug release studies showed that formulation-2 (API and Guar gum) has better drug release (97.74%) for 8hrs. D. Saidarao*, D. Prasanna Kumar, A. M. S. Sudhakar babu, P. Venkateswararao. The present work is based on “Formulation and Evaluation of Sustained Release Buccal Tablets of Simvastatin for Unidirectional Release”. Simvastatin has short biological half-life (3hr), high first-pass metabolism and poor oral bioavailability (5%), hence an ideal candidate for buccal delivery system. For poorly water-soluble drugs that do not show pH dependent solubility, an approach to increase the dissolution rate is the addition of surfactants to the dissolution media. Ethyl cellulose was used as backing layer to prepare buccal bilayered tablet for unidirectional release by Wet Granulation method. Formulations were evaluated for mass variation, hardness, friability, drug content, swelling studies, in-vitro release studies in pH 6.8 phosphate buffer and in-vitro bio adhesion studies through porcine buccal mucosa. In vitro release profiles of all the batches were performed with the kinetic model studies. Formulation F06 selected as optimized formulation based on physicochemical parameters and follows Zero order release. FTIR studies show no evidence on interaction between drug, polymers and other excipients. The final optimized batch was kept for 3 months of stability study according to ICH guidelines and formulation was found to be stable after 3 months of study. The optimized batch was studied for the dissolution kinetic modelling. D. Hasanthi* and J. N. Suresh Kumar. The study was carried to formulate and evaluate fast disintegrating tablet dosage form containing Piroxicam a Non-steroidal anti-inflammatory drug. The present study is an attempt to select best possible combination of diluents and disintegrants to formulate fast disintegrating tablet of Piroxicam which disintegrates within seconds in mouth, thereby reducing the time of onset of action. Here six formulations are prepared by using two polymers (Sodium starch glycolate and Crosspovidone) with different concentrations. Among the six formulations F3 gives maximum invitro drug release i.e 99%.All the formulated tablets were subjected for pre and post-compression. Evaluation parameters from the FTIR studies, the drug-polymers computability were confirmed. All the formulated tablets were shown satisfactory results which complies with official limits. D. Sandeep*, I. Sri Lakshmi, P. Umamaheswara Reddy. The Present study was focus on different techniques adopted while formulating solid dosage forms like tablets, Capsules and Granules etc. The ideal characteristics of granules include uniformity, good flow and compatibility. Nowadays the agglomeration process used in pharmaceutical industry for granulation. Based on the characteristics, suitable excipients were selected for the formulation of dosage forms. Physiological properties like bulk density, tapped density, hausners ratio and compressibility index have to evaluated and optimized for good pharmaceutical formulations. Apart from Physiological properties we have to consider evaluation parameters of finished products such as disintegration time and In-vitro release studies. Here we are mainly focusing on different types of granulation technique. P. Thejaswini*, B. Suguna, N. Sumalatha, K. Umasankar, P. Jayachandra Reddy. Water extractable solid substance or a starchy product from the stem of Tinospora cordifolia (wild.) Miers is commonly known as Amrita Sarkara or Guduchi Satwain Ayurvedic practice. The study was investigated for anti microbial activity against medicaly important bacterial and fungal strains. The antimicrobial activity was determined in the extract using disc diffusion method. The Chloroform extract of Guduchi Satwa tested against two gram positive S.aureous, S.pyogens, two gram negative E.coli, P.aerugenosa human pathogenic bacteria and two fungal strains C.albicans, A.niger respectively. Zone of inhibition of extracts were compared with that of standards antibiotic like Ciprofloxacin for anti bacterial activity and Nystain for anti fungal activity. Dalai Sujit*, Mahapatra Brahmanand, Dwivedi Laxmikant. The objective of the present investigation was to formulate and devaluate sustained release of Capecitabine tablets. Capecitabine sustained release tablets were developed different polymers HPMC K 100, Carbopol 974 and Xanthan Gum with different ratios. Totally 9 formulations were prepared. Sustained release tablets of Capecitabine were prepared by wet granulation technique. The prepared granules evaluated in terms of their Pre-compression studies like Tapped Density, Bulk Density, Angle of repose, Carr’s Index and Hausner’s ratio. The tablets were evaluated by Post-compression studies like hardness, thickness, friability and in vitro studies. The results of in vitro drug release studies showed that formulation-2 (API and HPMC and Xantham gum) has better drug release (98.44%) for 24hrs. G. Pavani*, CH. Vishnu Vardhan, K. Pradeep. The aim of the present study is an attempt to formulate and evaluate gastroretentive drug delivery of Ornidazole insitu gelling system by using Gellan gum as a gelling polymer and calcium chloride as cross-linking agent for potentially treating gastric ulcer, associated with H.pylori. Gellan gum based Ornidazole floating in situ gelling systems were prepared by dissolving varying concentration (0.5-2.0%) of Gellan gum in combination of both use (0.25-1.0%) in deionized water. The formulation variable like concentration of Gellan gum significantly affected the in vitro drug release from the prepared formulations. The invitro drug release studies were performed in0.1N Hcl at pH 1.2. Drug and physical mixture were characterized by FTIR, the result of IR study showed that no interaction between drug and polymers and other formulation parameters offormulated insitu gel areevaluated which showed better results. It was concluded that the formed gel showed prolonged gastrointestinal residence time and enhanced Ornidazole stability resulting from the floating insitu gel of Ornidazole. It might contribute better patient compliance while reduce frequency of dosing and by acceptable sustained-release dosage forms Ornidazole in the stomach to promote a fast and effective eradication of H.pylori to cure peptic ulcer. From the, viscosity analysis, Invitro buoyancy studies and release kinetics studies it can be concluded that the formulation FB1 has better potential of sustaining drug release with good gastric retention capability. S. Parthiban*, Shivaraju, G. P. Senthilkumar, A. Vikneswari. Biperiden HCl is an Anticholinergic agent using in the management of all kinds of Parkinson’s disease. It is very slightly soluble in water. In the present study attempt has been made to prepare and characterize inclusion complex of Biperiden HCl with β-Cyclodextrin. The phase solubility analysis indicated he formation of 1:1 molar inclusion complexes. Apparent stability constant (Kc) was found o be 164.557 M-1. The inclusion complexes prepared by different methods viz. Physical mixture, Kneading and Solvent evaporation methods. The prepared complexes were characterized using FT-IR.For the development of Biperiden HCl tablets, the excipients selected were Starlac as diluents, Croscarmellose sodium and Sodium Starch Glycolate, crosprovidon as super disintegrants, Microcrystalline cellulose (MCC) as binding agents, Aerosil as glidant, Magnesium Stearate as lubricant. The formulation blend was evaluated for Precompression studies and compressed tablets were evaluated for post compression studies and the results were found to be within the limits. The compatibility studies were performed which resulted in no interactions between drug and excipients. P. Malleswara Rao*, A. M. S. Sudhakar Babu, K. Navya Sree, N. S. V. Teja Rameswarapu, K. L. N. Mallikharjunarao, Prasanna Kumar Desu.